The Brighton Salesforce User Group offers those in our local community who use Salesforce to come learn special topics of interest and share their Salesforce experiences. The Salesforce Brighton User Group aims to showcase the best of Salesforce, that’s relevant to our community. Salesforce experts and industry speakers share knowledge and insights into the latest developments around Salesforce CRM technologies, empowering Sales & Marketing. Besides offering a great opportunity to learn more about Salesforce, our events helps you build a network of people who can help you success at work, and to put a Tuesday evening to good use. Enjoy some pizza and beer with us. 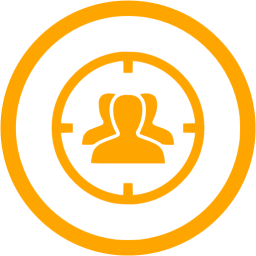 Our user group has been around since 2014. In principle, we hold events every 2 months, on Tuesdays. Our events are typically held at Brandwatch, downtown Brighton, UK. Event attendance is by registration only, but is completely free. Networking, extending our #SalesforceOhana – in conjunction with the Brighton Digital Festival – 10 October 2017. Advanced Salesforce Phone Integration made easy, with Personalisation & Superior Sales Performance – by Ian Moyse – 13 June 2017. Einstein 101 – by Sanjay Pradhan and Simon Cook – 4 April 2017. Salesforce as a Career – by Astrid van Dorst & Jimson Lee – 14 March 2017. Real Lightning Benefits for Sales & Mgt – by Astrid van Dorst – January 2017. 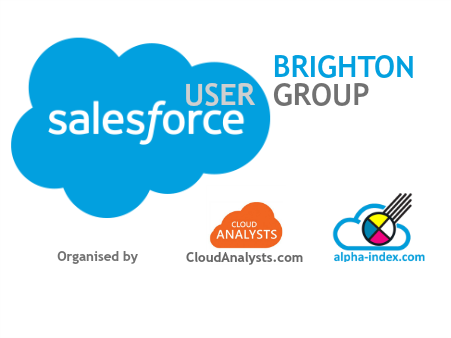 The Brighton Salesforce User Group originally started by Phil Meldrum from Alpha Index. A few months later, Astrid van Dorst and Jimson Lee from CloudAnalysts joined him in leading the group. 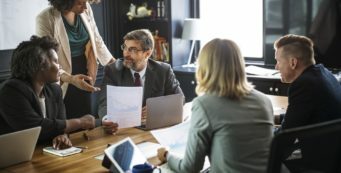 CloudAnalysts.com is a 15x-certified Brighton Salesforce consultancy whose business is anchored in Salesforce Sales Cloud, Service Cloud, Community Cloud, Marketing Cloud, and Pardot for B2B sales and marketing. We design, config, train and help you transform into a customer-centric company which get good ROI from its Salesforce investment. If you have a quick question, would like a product demo, or get a free initial consultation, contact us to improve your Sales & Marketing, successfully leveraging Salesforce.